Released in 1988 Halloween 4 was the first one I saw in cinemas as I saw the previous 3 on VHS. As a fan of the series I couldn’t have been more excited seeing this on the big screen and it didn’t disappoint. Halloween 4 was one of my favorites of the series and one of my favorite horror films, but over the years for some reason Halloween 4 hasn’t quite held up for me and while I still enjoy it, but nowhere near as much as I once did and I can find myself at times losing focus. If anything Halloween 4 has become one of those films I need to be in the right mood for. When it comes to slasher films of the 80s they were all made possible due to the success of John Carpenter’s Halloween. After Halloween II in 1981 the franchise went in a different direction with Halloween 3: Season of the Witch in 1982, which ended up being a failure. 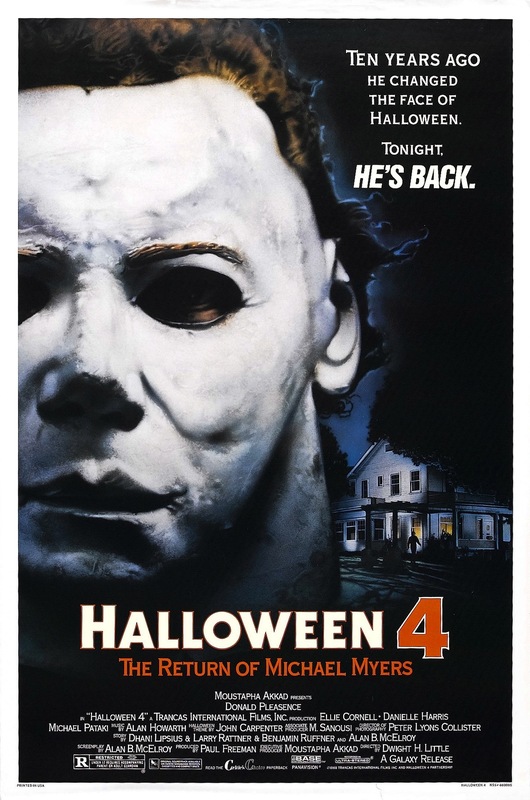 In the 6-years between Halloween 3 and Halloween 4 we saw the emergence of A Nightmare on Elm Street and while the Friday the 13th films weren’t pulling in as much money as the earlier parts they were still turning a profit and Jason like Freddy was now a pop culture icon so Halloween 4 goes back to basics and brings back the character that started it all. By the time the late 80s rolled around there was still some life left in the slasher film, but they weren’t pulling in the numbers they once did and while many would later become cult classics it was Elm Street and Friday the 13th making most of the impact. 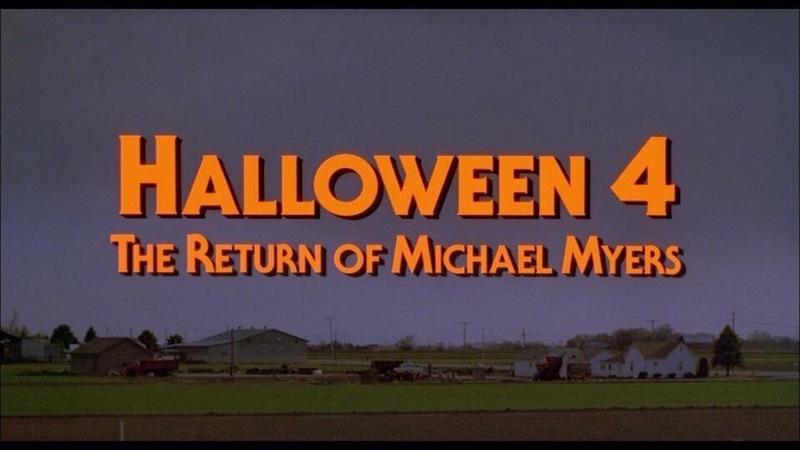 By this point these films were playing more up to the F/X and Halloween 4 is no different as of this time it was the most graphic, but Halloween 4 attempts at being a legit suspense filled film to go along with the F/X. That’s what I enjoy about the Halloween series is they always tried to keep the movies being legit horror films even if they did add more violence and even the more over the top kills never got cartoonish. Halloween 4 does retain a lot of what made the original film the classic it is and in someways Halloween 4 is more or less the kind of film the original would have been had it been made in 1988. However that’s also some of the problems as it can at times rehash the original and as well as it turned out there was just that little something missing and while I personally wouldn’t rate this as my favorite sequel it really isn’t difficult to understand why so many do. 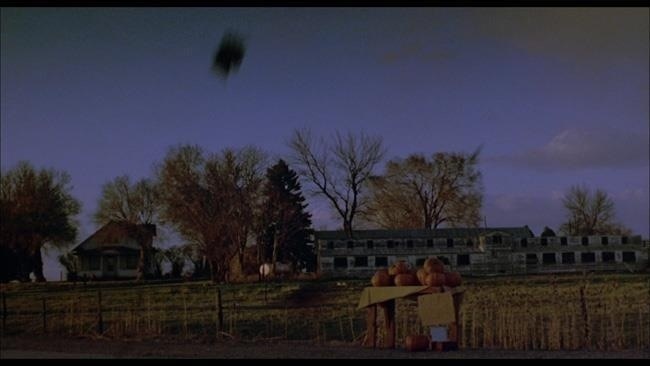 It’s been 10-years since Michael Myers (Wilbur) went on a killing spree on Halloween in 1978. 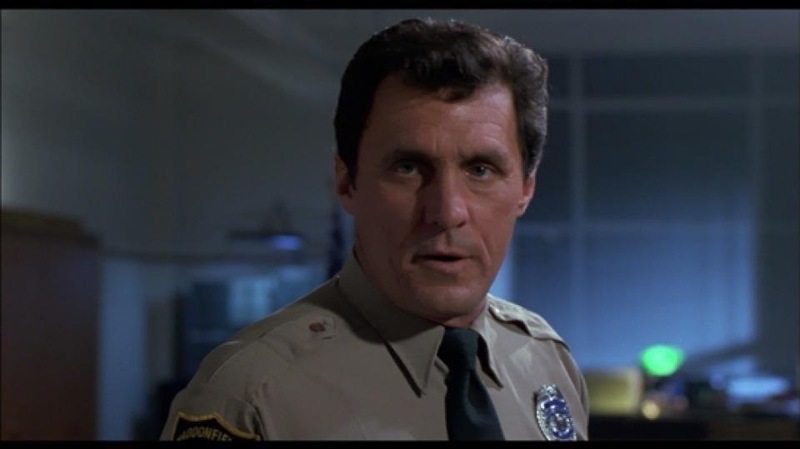 For the past 10-years Michael has been in a coma and is being transferred on all nights Halloween Eve, but of course you can’t keep a good villain down and Michael escapes and sets off to Haddonfield this time in search of his young nice Jamie Lloyd (Harris) while Dr. Loomis (Pleasence) returns as well in hopes to stop Michael once and for all. The screenplay was written by Alan B. McElroy who also wrote the Brandon Lee film Rapid Fire, which was actually directed by Dwight H. Little and McElroy would also write Spawn and Wrong Turn. 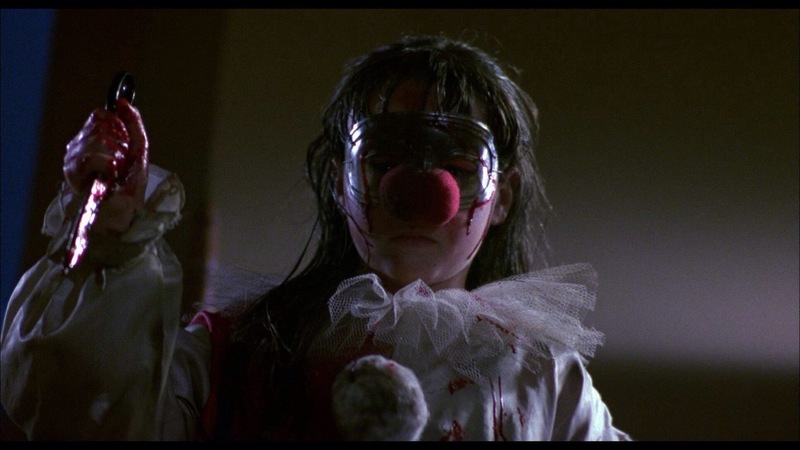 From a pure writing side of things Halloween 4 is perhaps the best written sequel of the series and actually I think the script is just a notch below the original. Apparently the script was written in 10-days to avoid the writers strike, but it really doesn’t feel rushed for the most part. McElroy crafts solid characters with some depth and even if they’re a bit cliched since again the slasher film was done to death by this point, but the characters are actually fairly strong and can to some degree carry the film. In terms of characters, Halloween 4 is one of the strongest if not the strongest of the series. 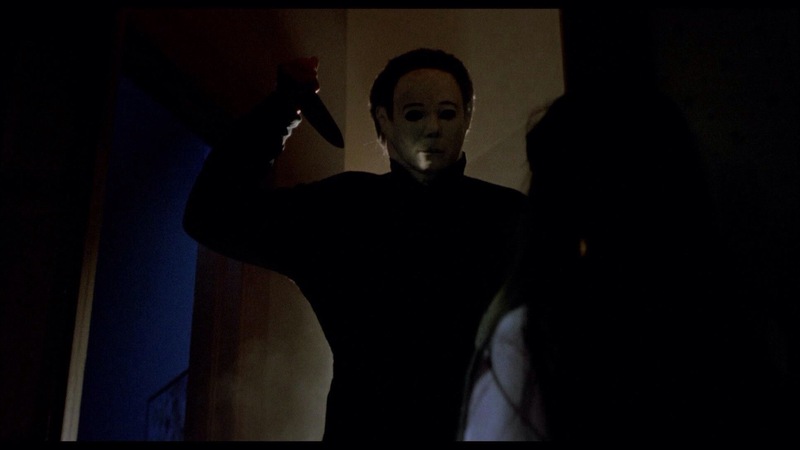 Rather than write faceless victims simply there to be killed by Myers, but McElroy takes his time and develops them. The biggest strength of Halloween 4 is also its biggest weakness; instead of being your typical run of the mill slasher movie the McElroy (and the director Dwight Little) try and be more than that. The plotting is simple, but effective and while the script didn’t feel rushed perhaps with more time Alan McElroy could have fine tuned it a bit more. Despite being generally well written it does suffer from just having been done so many times it does take away from the film. 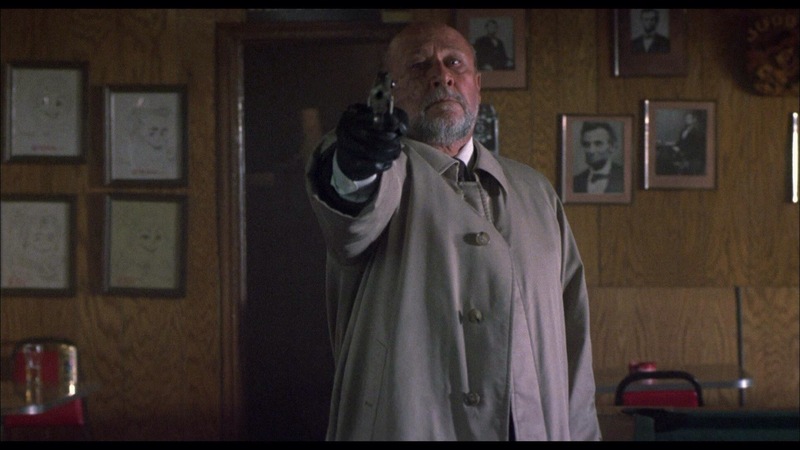 Halloween 4 was directed by Dwight H. Little who also directed the Stevan Segal action film Marked for Death and the already mentioned Brandon Lee film Rapid Fire. Dwight Little has also been involved with many TV shows having directed an episode of Freddy’s Nightmares and 2-episodes of 24. Dwight H. Little very early on sets up an eerie tone thanks in part to the excellent opening title sequence and Halloween 4 gets off to a great start with a strong feeling of eerie atmosphere and suspense, but as the film goes on pacing can be a little sluggish in spots and Little very much follows what John Carpenter did with the original only it isn’t quite as effective here. Dwight Little does stage some genuine suspense in spots and strong as the characters are the longer the film goes without any action the pace can begin to slowdown. 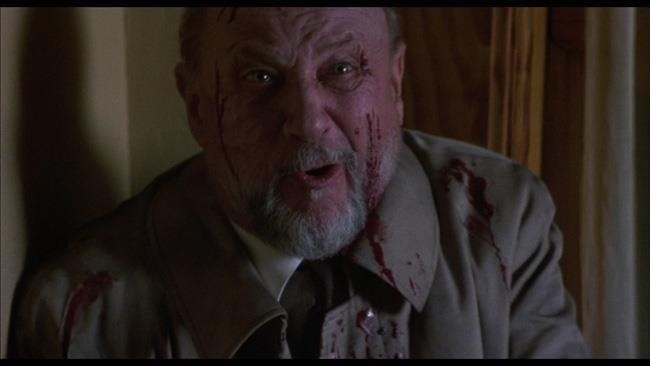 Halloween 4 also boasts quite a large body count, but there are also a lot of off camera deaths, which can be a bit frustrating as the longer the gaps between on camera deaths that can also slow the pace down. I appreciate the fact both Alan McElroy and Dwight Little avoided making the standard slasher film of the era and created a film built on character and suspense and while I felt that was the films biggest strength, but also its biggest weakness. The first half of the film is the strongest, but its the 2nd half where some of my issues start to come in. There’s always a layer of suspense and looming danger and early on its at its most effective, but does run out of a little bit of steam later on. However with that said Dwight Little also crafts some of the more memorable scenes of the series of the series in the 2nd half. 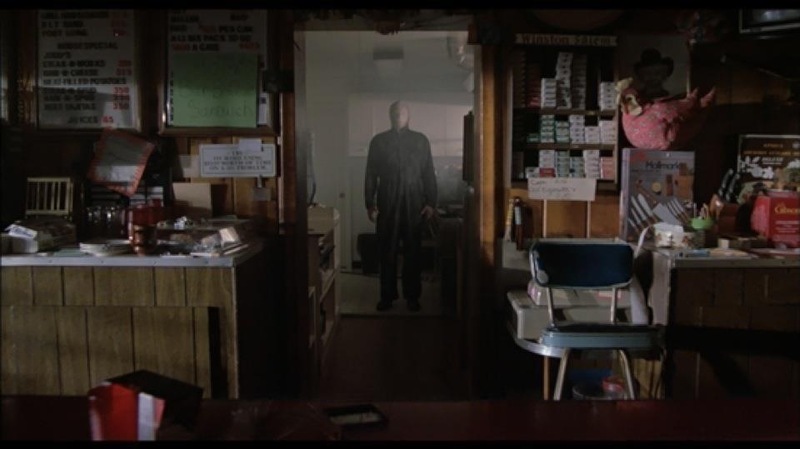 The scenes in the Meeker house during the power outage are very effective and eerie with a great buildup though it is a little overly long and could have used a bit of editing, but the payoff is worth it and of course the rooftop scene is among the best scenes of the series. I really can’t fully explain the issues I had since there’s far more good here. 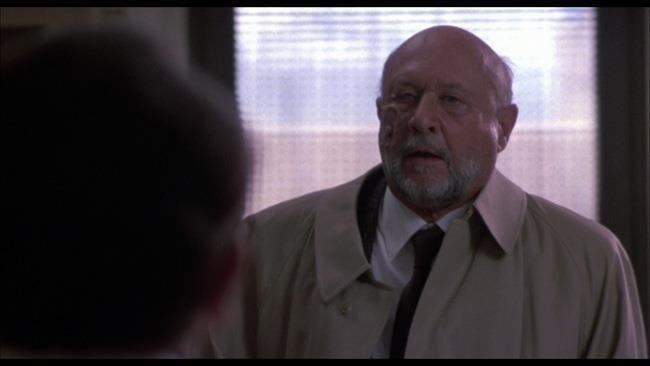 Halloween 4 has a terrific cast led by Donald Pleasence and while he mostly rehashes dialogue from the original I couldn’t imagine the film without him. Danielle Harris was wise beyond her years and was excellent and one of the few child actors that wasn’t annoying and Ellie Cornell makes for an ideal final girl. This to me was one of the better acted installments. 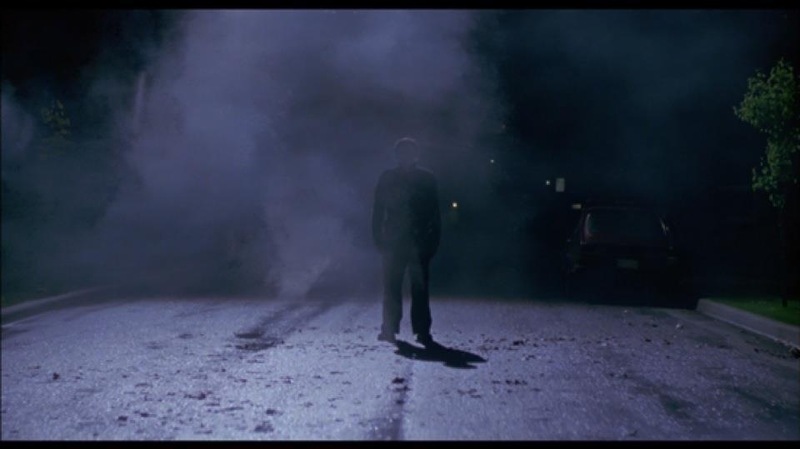 Overall Halloween 4 is a good film, but after a great start it never in my opinion is fully able to get back on track and while there are many excellent scenes the middle sections can lag and despite the high body count Halloween 4 may have been better served with an extra death scene or 2 on camera. The ending of Halloween 4 was quite chilling so there are a lot of positives here, but like I said something just wasn’t fully working at times, which again stems from just being a little too cliched. As stated I fully get the appeal of Halloween 4 and it’ll always hold a special place for me as it was the first I saw in cinemas, but over the years even though I still enjoy Halloween 4 it just doesn’t quite hold up. Despite my issues with the film it does feature some of the most effective scenes in the series.